At the recently concluded World Architecture Festival in Singapore, one futuristic architectural design impressed the Jury Members immensely. 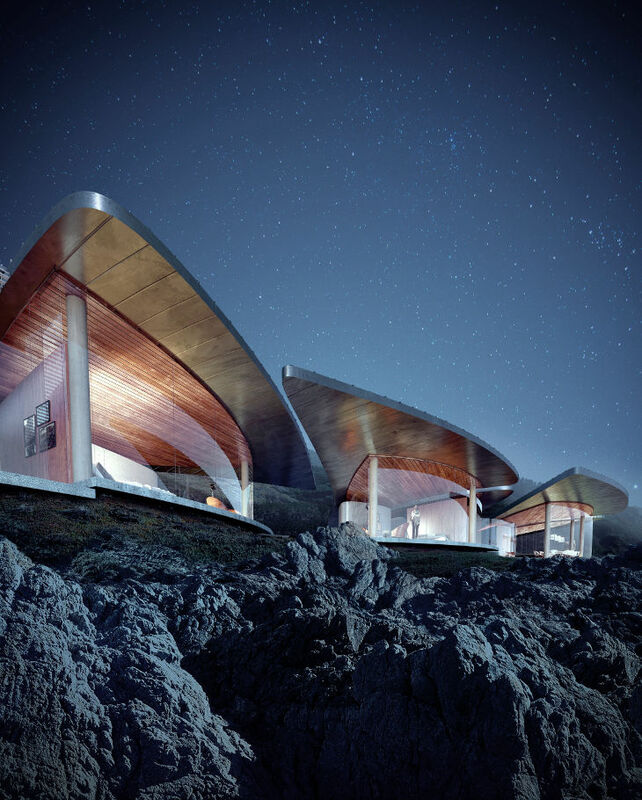 San Francisco based Form4 Architecture received a Highly Commended award in the ‘Future Projects’ category at the WAF 2015 in Singapore for their project Sea Song. 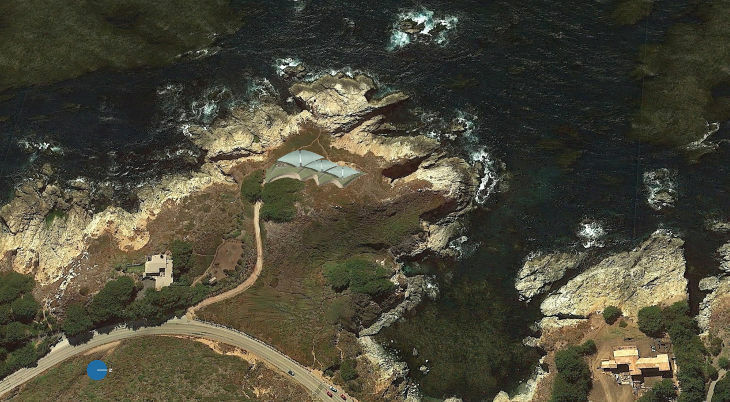 John Marx: The brief was to design a 2,500 – 3,000 sq ft house on the Big Sur Coast in the Central Coast of California. 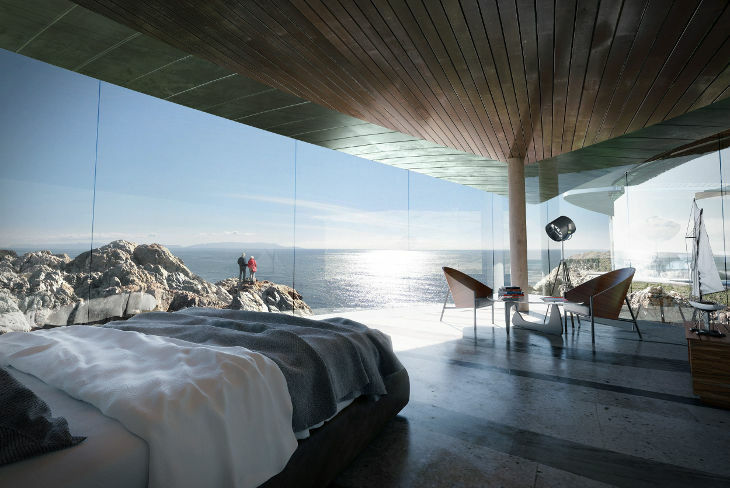 The house needed to focus on the views of the ocean. It should be light on the land, be poetic in nature and reflect the sea coast. 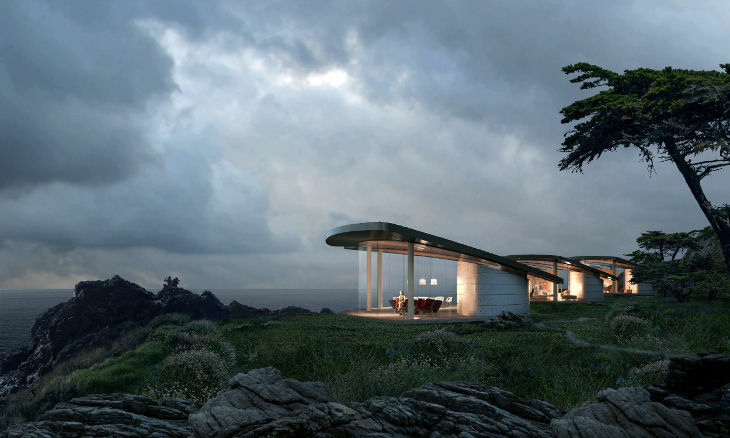 The house is primarily a refuge for the client, to escape the busy life he leads. The idea is to have very few overnight guests and occasional dinner party for a dozen special friends. He has another house in the area for family. 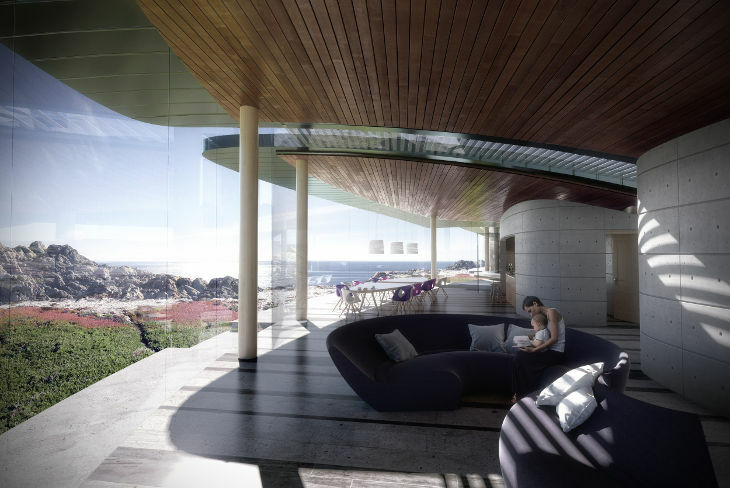 JM: The client is an international businessman, a great lover of life, fine wine and interesting architecture. 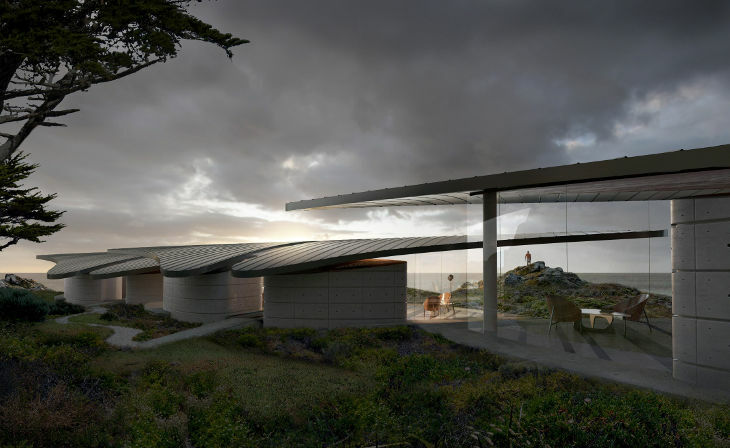 JM: The vast plane of the Pacific Ocean and the ruggedness of the coastline set the stage for this gentle architectural insertion. 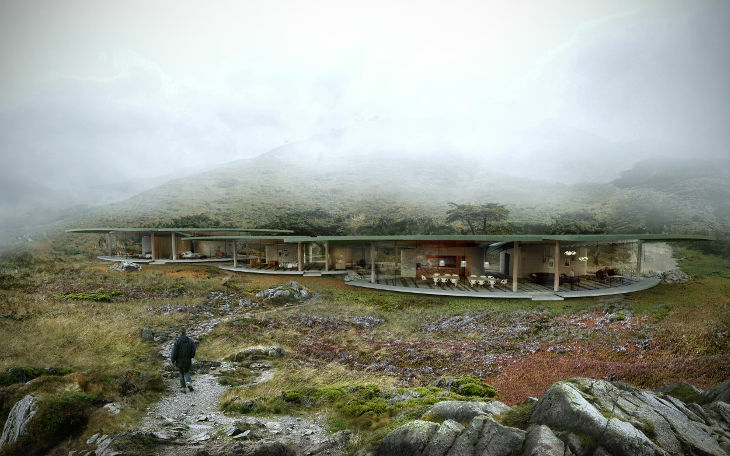 Unobtrusive by design, it is both private from the main road and utterly transparent to what lies ahead. 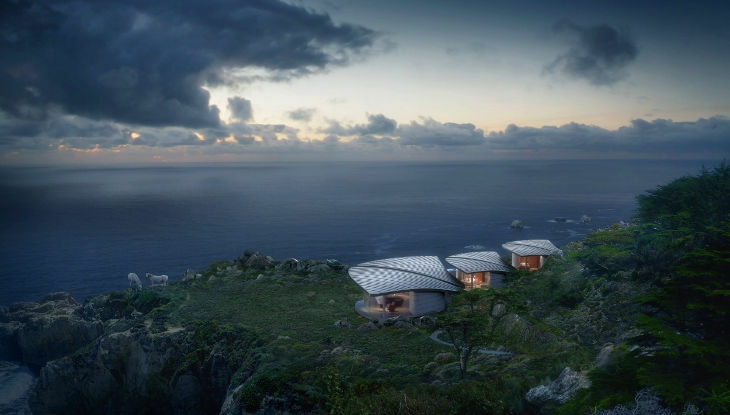 Many descriptors capture holds together this composition: a trio of gliding Manta Rays, expressive cellular design, a parallel topography to the existing one, sail-like roofed pavilions, a village of transparent huts, the list goes on. The birth name of our design is Sea Song – a poetic interpretation to match our heartfelt poignant reaction to this arresting site. These pure shapes are biomorphic, evocative of sea shells, crustaceans, and other creatures of the water world, responsive to the rock formations and the existing ecosystem. Its environmental footprint is virtually inane. They are soft on their footprint being raised on a cantilevered podium of minimum disturbance on the site. What were the major challenges of the Project’s magnitude? How did Form4 Team tackle them? JM: There are several complex local zoning requirements for setbacks from the ocean and the house is not allowed to be seen from the highway. Our team’s brainstorm sessions were able to create the design to unravel the challenges to the best of our abilities. The client was happy with our design. What will be the ‘time-period’ needed to execute such a project ? JM: Normally a two-year period is sufficient to execute such a project. What would be the Project Cost? JM: A curvilinear sensibility informs the shaping of the three pavilions: The geometry of the architecture remains fluid, unbroken and in motion. Their arrangements on the ground and the delineation of each enclosure provide a continuum with no set boundaries between the inside and the outside – An immaterial enclosure with no corridors and all living spaces. The three structures are alike in massing and architectural elements. It has been scaled accordingly to attend to the specifics of program requirements. Materials alone tell the story of the house. Concrete baths anchor forms to the earth where the programmatic part resides and the rest floats in inebriating lightness. 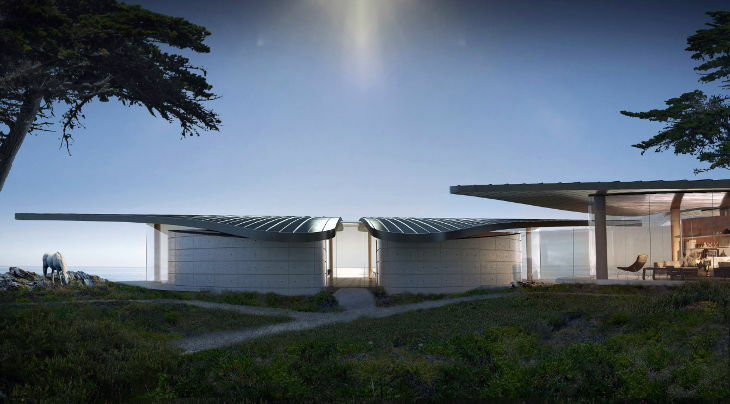 In each, the enclosed concrete split core holds service functions (bathrooms, walk-in closets and laundry) giving maximum open areas to the mostly column-free surrounding vistas determining the ultimate experience of joy for the occupants and visitors throughout. Two bedrooms come together in the outer cell at the opposite end of the access road. The master bedroom and a studio are located in the middle building. The point of arrival from the main thoroughfare has the bigger volume containing the public quarters, where guests can lounge in one uninterrupted flowing space. Every chance to open the sightlines to the ocean was taken in these natural lyrical forms. A gap gives glimpses of the vastness beyond the threshold and reward upon coming in each pavilion’s midpoint. The interior surfaces exhibit warm natural materials and carefully positioned art pieces are purposefully left plain to become background to its majestic outside. How was the symbolic design for elevation thought of? JM: The design shapes are biomorphic, evocative of sea shells, crustaceans, and other creatures of the water world, responsive to the rock formations and the existing ecosystem. The client loved the design concept. JM: Lyrical Modernism and a search for Poetry is our signature style. Our firm’s intent is ‘To leave the world a better place’ with our creative designs. I have always believed that architecture has the power to inspire us and celebrate the human condition in imaginatively assertive ways. 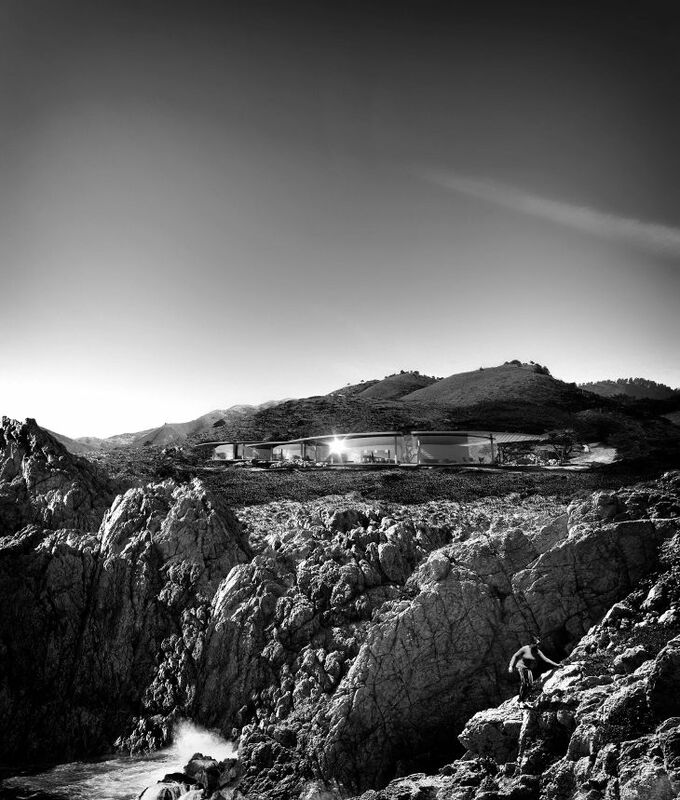 When clarity of form matches the emotional meaning, place-making follows. In practice, focusing on dynamic form as the carrier of this lofty intent, to leave the world a better place, is the design philosophy I operate from as an architect. 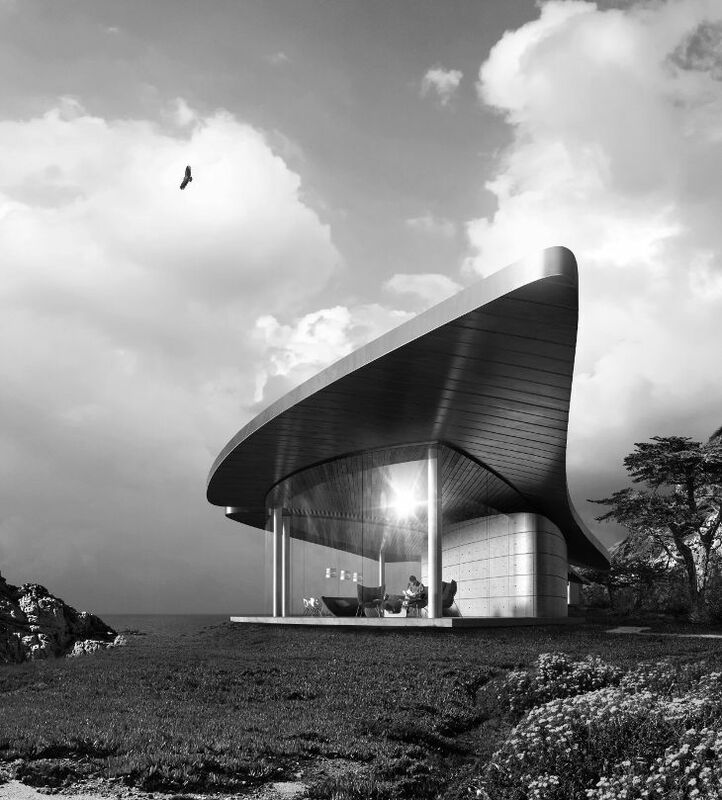 I am drawn toward the curvilinear to vision a future architectural fabric. The curve embodies the flow of life finding its way into the physical world. Flow is the common denominator in the ease of use and lyricism of forms. ‘The Rational’ is a mixture of Environmental Psychology, technology in all its latest forms, first principles in Sustainability and my version of collaboration: creative listening to both the material aspects of the site and the aspiration of the social world surrounding the architecture to be. The careful management of scale in the massing of places to contain the hyper-diversified world we live in falls squarely in the realm of architecture. ‘The Artistic’ is my inner priorities as an activist in design. I believe architecture is a poetic act impacting the spirit, especially coming from a point of view with a narrative to tell. I wish and want to reach deep into the emotions of users through the lyricism of dynamic forms unleashing their excitement about city living, straddling the iconic and the humane in one design.